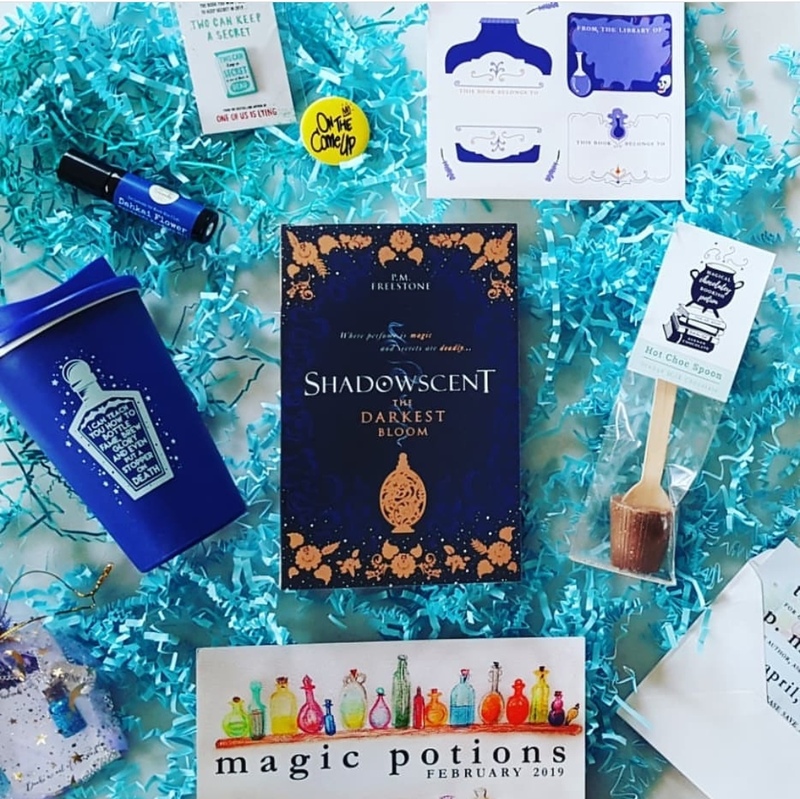 Another Saturday, another unboxing blog and this week we have a long overdue unboxing of our Magic Potions February box for you. We had so much fun putting this box together (can you tell?). 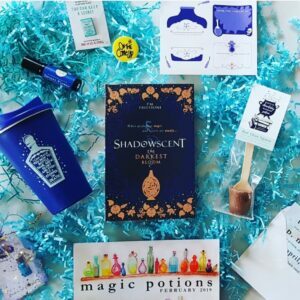 Both of us here at Book Box Club HQ are huge Harry Potter fans, so we really felt like we could indulge our inner potions masters when researching goodies for February! We are so excited for everyone to read the featured read too; it features one of the most detailed and richly described fantasy worlds that we’ve come across for ages and we can’t wait to discuss it with our members and the author at book group. Shadowscent by P. M. Freestone: Escape to the ancient desert land of Aramtesh, a beautifully described fantastical world, where a poor village girl and a royal bodyguard are about to embark on an epic quest, led by their noses… Can Rakel’s talent for fragrances lead her to the scent which will awaken a poisoned prince? Clubhouse Invite: Join us in the apothecary (aka The Clubhouse) for an unashamedly bookish chat about our fantastical featured read, with special guest author P. M. Freestone. Apothecary Bookplates by Book Box Club: Personalise your spell books with our exclusive potions-inspired bookplates. Bookish extras: Discover these brilliant new YA reads (and then add the pin badges to your denim jacket), with thanks to our friends at Walker Books & Penguin Random House. We had so much fun creating these beautiful items with so many very talented people this month and we’d like to say a HUGE thank you to everyone who helped make this box magical! We’d also like to thank our members for sharing your unboxings with us. Seeing how much you guys enjoy your boxes is always one of the highlights of our month and we feel so lucky to have so many talented photographers, bloggers and vloggers in our club. 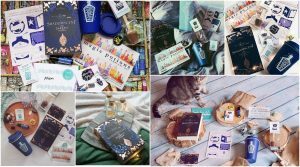 Thank you to @_shonashoe, @shebreatheswords, @read.write.coffee, @mintophie, @themoonkestrel, and @bokochte for these gorgeous unboxing photos! What was your favourite item this month? Has anyone finished Shadowscent yet? We completely sold out of February boxes but head over to Our Shop to have a browse of some of our other past boxes, goodies and books and make sure you’re subscribed to our April BOLD & BRAVE box to avoid missing out next time. Read more about our April theme here!